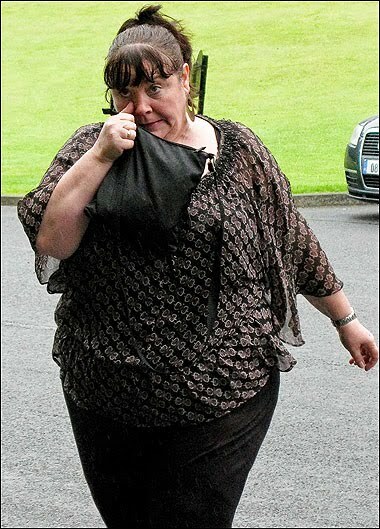 Mary Byrne, the "X Factor" hopeful, who has been dubbed "the new Susan Boyle" admits that she's got a crush on Simon Cowell. She said that she loves his nasty side. The 50-year-old single mum and supermarket employee said seeing Simon on the TV drives her wild. "I like Simon. I think he's very attractive. He's a nice person. Behind the scenes he's a big softie. "I don't know a woman who wouldn't give their left arm to be Simon Cowell's partner." Funnily Susan Boyle famously had a huge crush on Piers Morgan when she was competing in "Britain Got Talent". Unfortunately Mary is out of luck as Simon is happily engaged to make-up artist Mezhgan Hussainy. Byrne says she's quite happy being single. "I've been hurt a few times in relationships. I'm one of these people who gives a lot more than they get. I do have a big heart. I will give an awful lot more to a relationship and I fall in love very very quickly. "I'm quite happy on my own at the moment. But we do get our needs as women! "I've learned to like who I am and to live with me. If something comes along, it does, and if it doesn't, it wouldn't be the end of my world. "I won't be as soft with men as I used to. I won't do the chasing or be walked all over, never again."